Nabil Fekir was so close to becoming a Liverpool player, he had even posed in a Reds jersey, his agent has revealed. The France international was on the cusp of moving to Anfield last summer, as Jurgen Klopp looked to boost his squad ahead of their Premier League title tilt. 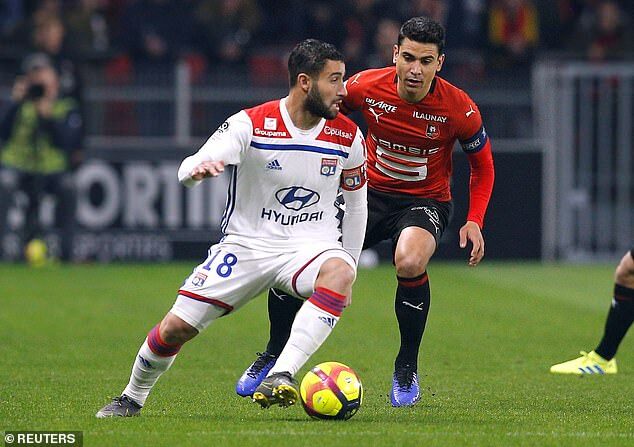 A deal to take Fekir to Merseyside was all in place, until the English club attempted to haggle over the £53million fee following the player’s medical. A knee problem was cited by Liverpool, but was news to Fekir and Lyon. Expecting no problems, the 25-year-old had already sat down to speak to LFC TV and pulled on a jersey in anticipation of his unveiling. 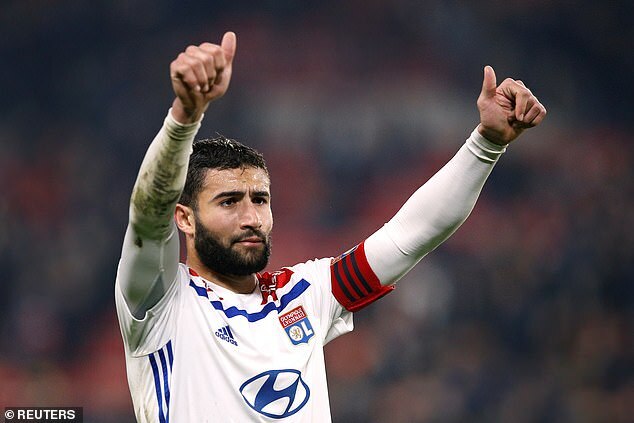 His agent Jean-Pierre Bernes has been attempting to facilitate a new contract for Fekir at Lyon, but that looks increasingly unlikely, with the Ligue 1 club viewing the player’s demands as ‘not approvable’. And on revealing his client is unlikely to stay at the club beyond this season, he also revealed how close Fekir was to joining the Reds. ‘It is not about staying here,’ he told L’Equipe. And we will know maybe the real circumstances that prevented Fekir’s move to Liverpool. The chances of a move to Liverpool next summer appear unlikely however, with Klopp ruling out a spending spree as recently as last month. ‘I don’t think this is a team at the moment where we have to spend the big money,’ said Klopp after the win against Bayern Munich in the Champions League. ‘The best way to do it is to bring together a group of players, try to develop them together and then stay together for a while.